Nothing is more irritating then driving down the road next to a car or truck with a bad exhaust system. It cackles and shakes and makes you roll up your windows. Even worse when that car or truck is you! The experts at Elkhart Mechanics can fix your exhaust system from the manifolds right down to the tailpipes. If your exhaust system isn’t working correctly, your mileage and performance will suffer greatly, not to mention the noise which can cause great pain to you and others. Elkhart Mechanics can check out your system to make sure it is operating properly. They can fix an exhaust leak at the manifold or install a new muffler. So get to Elkhart Mechanics and get your exhaust fixed properly and on time. 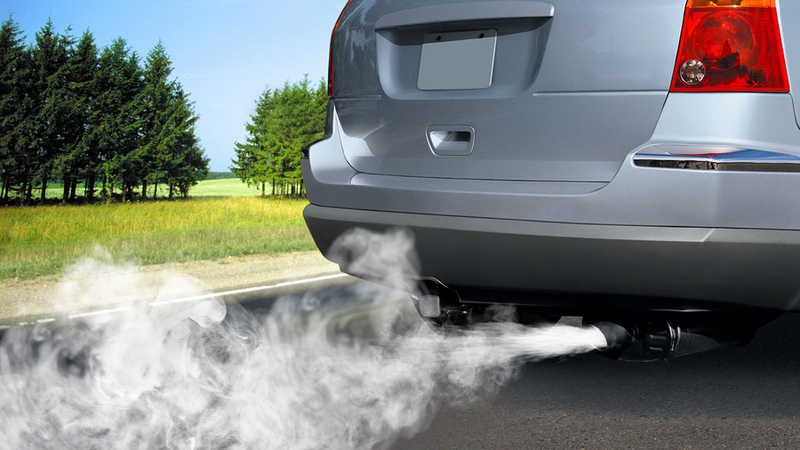 In previous decades, cars got the reputation for filling the air with stinky, gray exhaust, but, thanks to modern exhaust systems, they have been able to live down that reputation. Modern exhaust systems in cars are much more complicated than old ones, and, unfortunately, that means there are more parts that can malfunction. If exhaust leaks from the exhaust system before it gets to the muffler, you will hear a noise whenever the engine is on. Exhaust leaks closer to the engine are louder, and they might even make cracking and popping sounds. Another possible exhaust problem is back-pressure, which is the result of problems with the catalytic converter or muffler. The only noticeable sign of it when you are driving is a quiet, strained sound when you accelerate. When your exhaust system has back-pressure, exhaust will be delayed in coming out of your tailpipe and then come out in one big puff, but that is obvious only to the people behind your car, not to the driver. Back-pressure is a problem because it reduces your car’s fuel economy. Various malfunctions in the exhaust system can cause the check engine light to illuminate, in which case you will have to bring your vehicle to the garage in order to find out what caused the light to illuminate. A faulty catalytic converter will get a response from a check engine light, but it is not the only exhaust-related problem that could cause the check engine light to light up. In the old days, people used to try to diagnose their exhaust system problems by holding a dollar bill or, worse, blowing cigar smoke, near various parts of the exhaust system. It goes without saying that the first is dangerous and the second is truly a safety hazard. Elkhart Mechanics can get your car’s exhaust system back in shape.